The year is drawing to an end really fast and rapid changes are happening on the blog. So after much thinking, I have come up with a way to keep the Inspiration rolling while I get this blog all set for the new year during the last week of 2013! So 12 Days of Christmas happens to be the idea! On this series, starting from the 14th till the 25th of December (12 days – even on the weekends! 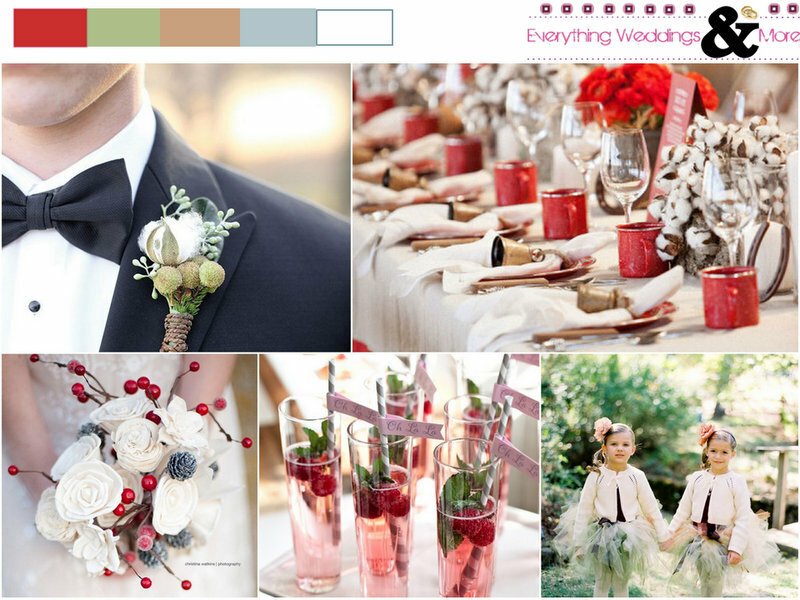 ), I would be sharing gorgeous photos of ways to incorporate the Christmas season in a wedding. Some days may still have some already scheduled real events which are not Christmas related for those not interested in a Christmas wedding, so that way, I get to still keep all you viewers occupied 🙂 Here is the board of Inspiration; something to wet your Christmas inspiration appetite for the 12 Days of Christmas series! Whattttt? Are those flower girls not like the owners of Cuteness(dot)com? Their tulle skirt makes them so adorable, it’s almost unbelievable. And that bouquet just oozes of gorgeousness! Isn’t it interesting that the original shoot for that bouquet was a Fall shoot but it also goes perfectly with the Christmas/Winter look? Stay excited with me for this 12 Days of Christmas series, get your pinning fingers ready too. Slightly off topic, while researching for this series today, I tweeted this “Sometimes in the blogging life getting your content is not really the hard work..it is finding the sources and citing appropriately! I have to agree, it is tempting to not cite but my bible tells me to give honor to whom honor is due *scratches head and continues to cite*” – Lol that was my frustration being expressed when I kept on finding perfect images but only to not be able to find the owners. Makes my work so much harder! Dear Publishers/Bloggers, please cite. If not only for credit sake but also for your fellow bloggers who wish to give the owners credit – okay that’s still for credit sake but…now I’m rambling…bye!